Your HR Shop and the DMV - Can Anyone Tell the Difference? But, I work at it. I run, on average, 4 times a week, and I don't eat much high fat or fried food. Without the exercise and diet habits, I probably track like some of my friends, which would probably put me in the neighborhood of 190 with a little pouch in the middle. My family is like me, and physical activity is at the core of how we spend a lot of leisure time. A healthy family diet is part of the deal too. Personal situation aside, I'm sympathetic when I hear about people struggling with weight issues. I'm never more sympathetic than when I read or hear about kids struggling with weight issues early in their lives. That's why I had an interest in the recent New York Times article talking about the lack of insurance covering weight loss camp for kids. "There are nine million overweight or obese children in the United States. And although the prevalence of childhood obesity has tripled since 1980, there are few comprehensive or affordable programs to treat them. Summer weight loss camps are usually profit-making and can cost more than $1,000 a week. Most insurance does not cover that cost. I'm not the guy who's ordinarily going to run to the insurance industry's defense. I get frustrated, just like my employees, when red tape holds up needed treatment. But there's an obvious point the folks, who will shout out the need for weight loss camps, aren't sharing at the appropriate volume. "The big challenge comes later, when children resume their normal routines and confront the smorgasbord that is America — food in their own kitchens and at friends’ homes, fast-food restaurants and school cafeterias. Dr. Pories, who also heads the Metabolic Institute at East Carolina University, found that children lost an average of about 8 percent of their body weight in a program he studied over three years; but two-thirds regained all or part of their weight. It's all about the support system you are going back into. If a kid has family and friends who don't exercise and eat healthy, there's no way the kid keeps the weight off. To be fair, this is a story that transcends analysis from any single perspective. There are cultural, socio-economic, educational and other issues at play. The availability of weight loss camps is the least of the challenges. Weight loss camp for the kid isn't fixing the issue. Perhaps weight loss camp for the family? I think health insurance coverage should focus on those things that help to change behavior. Mental health, fitness, diet. Your right, fixing the kid isn't it. Pediatricians can start the conversation with parents and get them into programs as well. And insurance should gladly cover all the treatment, especially the mental health component. This scenario does transcend weight issues. This carries over into any management issue (in this case weight management). In HR practices---HR managers or HR policies do not bode well if the manager/ policy subscribes to a "do as I say--not as I do mentality" (much like the parent forcing the child to eat carrots while they enjoy a tasty Krystal). The sentiment carries little weight (pun intended) if there are not active, daily examples for the child (or employee) to examine--even subliminally. 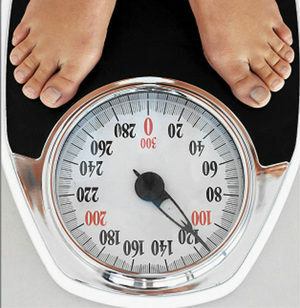 Regarding the weight issue---how do corporate driven wellness programs play in? We have found that adding a company gym, EAP, and health counselling (further leading by example) has built by-in and momentum to healthy standards of living. One can assume this change in adult behavior could and should push down to the child. Not an easy answer to this problem - can't change the kids to eat better nutrition for weight loss because the parents buy/ cook the food. Hard to motivate the parents, so maybe cash/ insurance incentive may work to promote more weight loss in population. Everyone knows that a proper diet and daily exercise are the best tips for weight loss…but while losing weight add low calorie food in your diet which helps to keep you healthy. And also you must physical active like do the exercise such as walking, swimming, running etc.